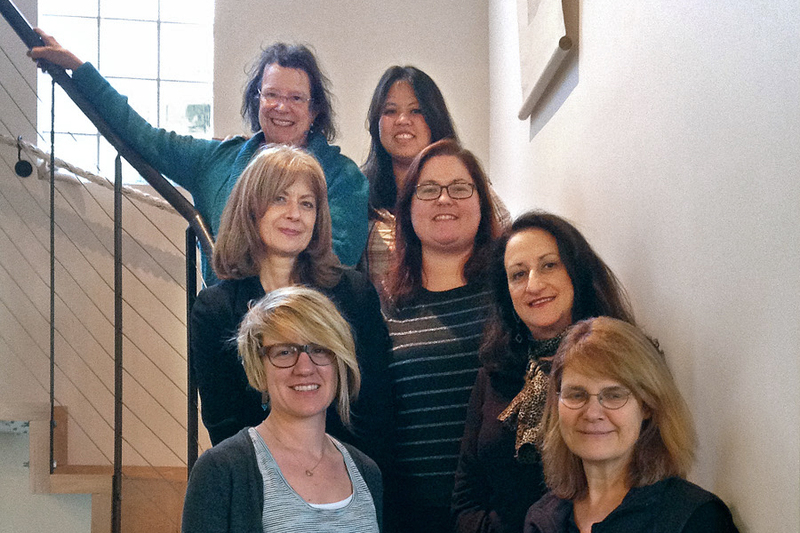 The new steering committee for 2014 began working together in January. 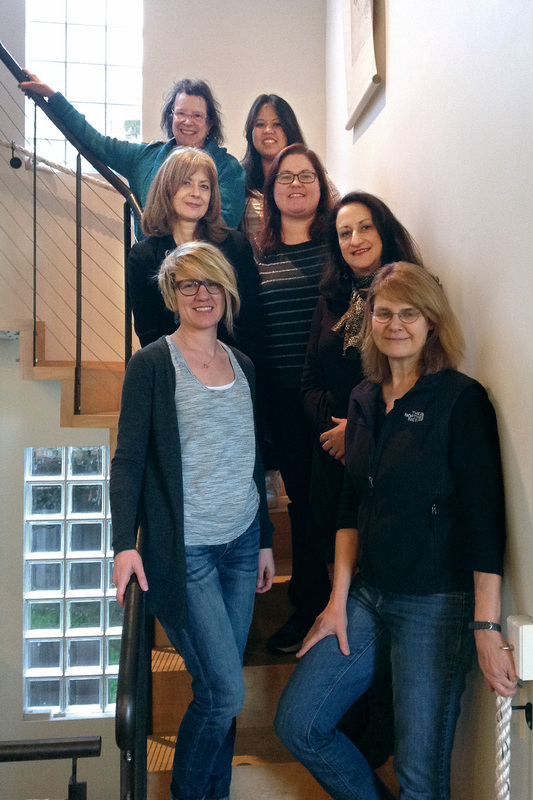 Current members are: (clockwise from bottom-left) Esin Karliova, Patricia Haight, Lucia Bogatay, Charlayne Sakamoto, Allison Kinst, Caroline Orazi, and Jean Nilsson. Note that our names above are links to our profiles where you can get to know us and also contact us. Steering Committee members work together, but also each take on a primary responsibility. Esin will focus on Public Relations, Patty and Carolyne on Programs, Lucia on Information, Charlayne on Membership, Allison on Policy and Procedures, and Jean on the Newsletter. Please feel free to contact us anytime. A warm thank you to outgoing steering committee members Rosemary Muller, Cammy White, Rachel Slonicki, and Eliza Hart for their service over the last two years and their many contributions to our group. Co-author KIRA GOULD will be present. Thursday, February 20, 2014 6:00-7:30pm. The event is FREE of charge but please reserve a ticket, as this is helpful in planning. If seating is available, you will not be turned away. Add your voice and ears in a round-the-room-discussion about our role in taking care of the planet. Book Circle members will launch discussion threads via chapter titles, ideas, and specific questions. “This book is less about the ‘ascendancy of women’ than it is about the growing value of those sensibilities commonly associated with women…feminine intuition, inclusiveness, responsibility, caring and love.” [page 5]. Landscape architect, Lucia Athens runs the office of Sustainability and Environment for the City of Seattle and is one of over 150 voices collected into these pages. “It’s mind-boggling to think about what a truly sustainable community would require.” [page 59]. “Perhaps we will see a different kind of expression coming out of a new cadre of female designers?” [page 49]. 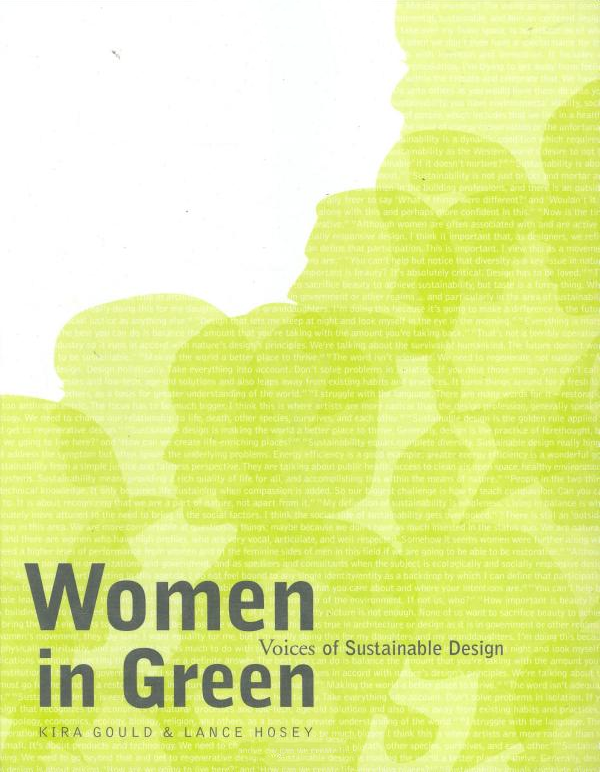 Our library has a few copies of Women in Green to lend to members. A review is here. Hourig Ayanyan, has been very busy these days with giving birth and getting used to mothering (with the good partnership of her husband) working in an architectural office, passing all but one part of the Architectural Registration Exam. and completing all her experience requirements. But it is not easy. This article about financial discrimination against mothers in the work force may be of interest to mothers young and older. UC Berkeley Extension's Interior Design and Interior Architecture program, in conjunction with IIDA, present an interactive panel discussion with esteemed UC Berkeley Extension alumni. 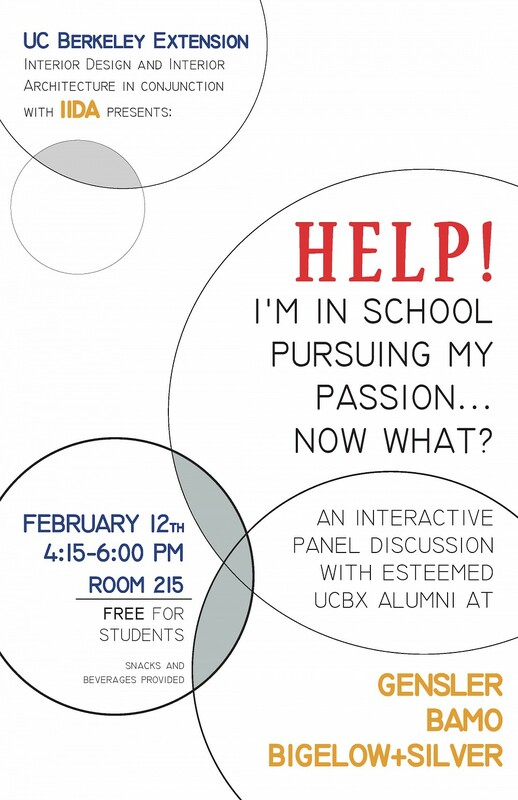 This free event is open to UC Berkeley Extension students. Wednesday, Feb. 12, 4:15–6 pm, UC Berkeley Extension Art and Design Center, 95 Third St., Room 204, San Francisco. For the first time ever, the California Access Code will be in alignment with the federal access standards for barrier-free design. Gilda Puente-Peters Architects, hosted by City of Fremont, is presenting a full four-day State and Federal Disabled Access training February 10-13, 2014, as preparation for the upcoming CASp Exam scheduled for March, 12, 2014. Recent adoption of the 2013 California Building Standards Code (Code) by the California Building Standards Commission included significant changes to the State’s accessibility standards. Gilda’s CASp Training Program includes a detailed training on the 2010 ADA Standards and the 2013 CCR – Title 24, Chapters 11A and 11B. The members of OWA raised over $600 during the holidays and provided Hamilton Family Center six family passes to the Exploratorium, six family passes to Yerba Buena Ice rink, a dozen movie passes, gift cards to Target and other stores, and an assortment of gifts related to the design field and exploring adventures in the Bay Area. Debbie Wilber, Community Partnerships Manager, wrote to me, "There’s no way we can adequately thank you, but know that families here at Hamilton were delighted with the “Sponsor an Experience” opportunities, and our staff is so grateful for your ongoing partnership ... We couldn’t do it without you. Please share our gratitude with everyone who participated!" We'd like to share their thank-you note and add our own thanks for your donations and your support for these families. Click "more information" below to view their full Thank-You letter. For our first 2014 event January 8, we held a joint meeting with the National Association of Women in Construction, NAWIC San Francisco: Managing Design Risk. It was a great meeting, attended by a number of OWA members. After joining us as speaker at our Mentoring Event last June, Antonya Williams of McCarthy Building Companies invited us to partner with NAWIC at this meeting and foster an ongoing relationship. Thank you Antonya! NAWIC, whose core purpose is to enhance the success of women in the construction industry, was established in 1955 and has thousands of members in 140 chapters around the country. Their programs include an Education Foundation and mentoring summer camps for girls interested in the construction field. They sponsor more than 6,000 students each year promoting construction education at the elementary school level. Their Founders’ Scholarship awards $50,000 in scholarships to students enrolled in higher education and skilled trades training programs. The presentation on best practices in managing design risk was given by the multi-disciplinary team who had worked together on the Li-Ka-Shing Center for Biomedical and Health Sciences building on the UC Berkeley campus. Discussion centered on design risk in relation to different project delivery approaches with speakers from UC Berkeley, ZGF, McCarthy, and CS Erectors: Teri Mathers, UC Berkeley Project Manager; Stefanie Becker, AIA NCARB, Associate Partner, ZGF Architects LLP; Paul Erb, Project Director McCarthy Building Companies; and Mike Carvin, President & Owner C/S Erectors (representing a subcontractor's perspective). Each of the various typical project delivery methods–hard bid, Construction Manager/General Contractor At Risk, and Design/Build–has different approaches to risk. Design Assist is a method where subcontractors are brought in early during the design process to provide input, constructability review and shop drawings. Design risk is anything that can affect the quality or completeness of the design. Common construction risks include cost estimating accuracy, scope management, geotech issues, existing conditions, owner-furnished contractor-installed equipment, and user group uncertainty. Others are schedule risks, use of bleeding edge technology and decision-making. Integrated Project Delivery (IPD) has several potential benefits, including shared risk, greater cost certainty, identification and resolution of project issues early in the project. Others are accelerated spatial coordination and reduced risk of escalation. Some effects of unchecked risk are potentials delays, cost overruns, inefficiencies and damaged relationships. It was an interesting discussion on the realities of design risk in today's industry and best practices in managing those risks led by a team that functioned well and completed a large and attractive building together. We look forward to a continuing relationship with NAWIC. 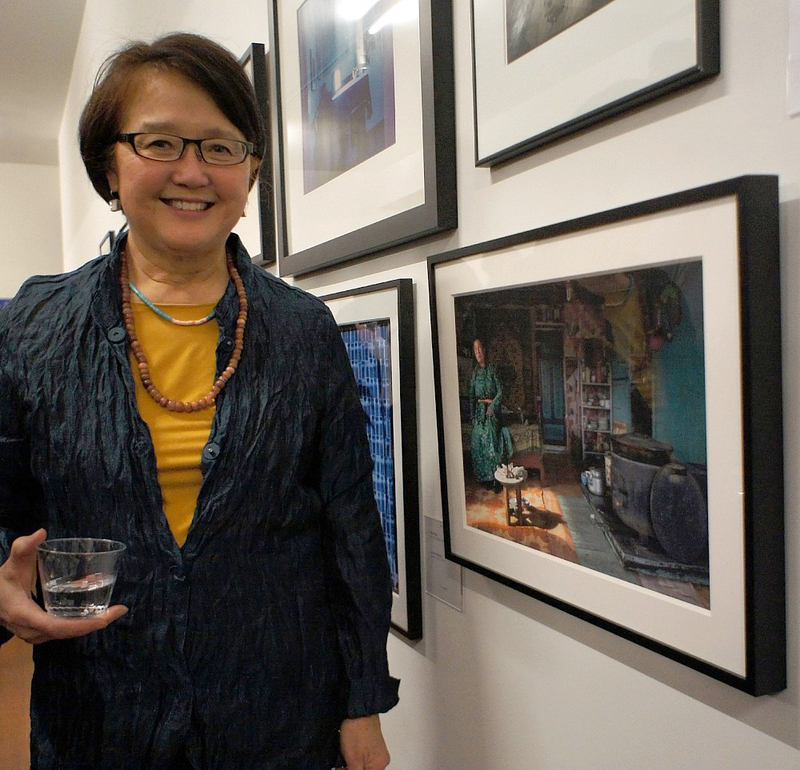 Joanne Chow Winship, architect, architectural photographer, and OWA member, was recently honored by having one of her Mongolian series photographs selected for an exhibition celebrating 75 years of the CCSF Photography Department at SF Camerawork. Photographs were juried by: Sandra S. Philips, Curator of Photography, SFMOMA; Norman Maslov, Agent International; Richard Koci Hernandez, Assistant Professor of New Media at UC Berkeley Graduate School of Journalism. The show ran from January 8 through February 2, 2014. Joanne presented a slideshow of her Mongolian series photographs for us at our annual retreat last September, and they are truly extraordinary. Congratulations, Joanne. Save the Date: Thursday, Feb. 27. The Missing 32% Project - An AIA SF Committee meeting will be held at AIA SF 12:30-2pm. Their Equity in Architecture Survey is almost ready for launch! Join us as Openhouse partners with the Queer Cultural Center (QCC) for an exhibition from the California College of the Arts (CCA) Architectural Department. The "Alternative Futures" exhibition was inspired by the Openhouse LGBT senior housing project at 55 Laguna. The exhibit is free and open to the public. If You Build It, an award-winning documentary about influential designer-activist Emily Pilloton, will be shown beginning on February 28, 2014 at Opera Plza Cinema in San Francisco and at Shattuck Cinemas in Berkeley. If You Build It follows designer-activists Emily Pilloton and her partner Matthew Miller to rural Bertie County, the poorest in North Carolina, where they work with local high school students to transform both their community and their lives. 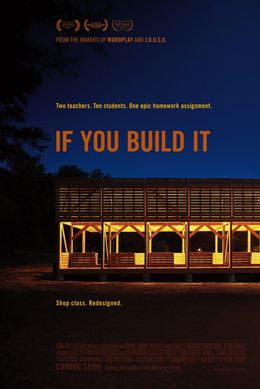 Living on credit and grant money and fighting a change-resistant school board, Pilloton and Miller lead their students through a year-long, full-scale design and build project that does much more than just teach basic construction skills: it shows ten teenagers the power of design-thinking to help re-invent not just their town but their own sense of what's possible. When I watched TEDTalk http://www.ted.com/talks/emily_pilloton_teaching_design_for_change.html of Emily Pilloton presenting her alternative way of practicing architecture and teaching high school students, I became really enthusiastic about having the opportunity to see the movie. Directed by Patrick Creadon (who also directed WORDPLAY and I.O.U.S.A. ), the movie was shown at last year’s Architecture and the City Festival, and was very well received, as Karsen Maruca of the AIA San Francisco Chapter wrote me. Please put the date of February 28 on your calendar and plan to see this radically new approach to architecture and take advantage of talking to the filmmakers who will be in attendance at the opening weekend. Ed. Note: There also is a pending theater showing in Sacramento on February 25, 5:30pm at the Century Stadium 14, to be sponsored by AIA Central Valley and OWA Mountain and Valley (our Sacramento area group), with discussion to follow. 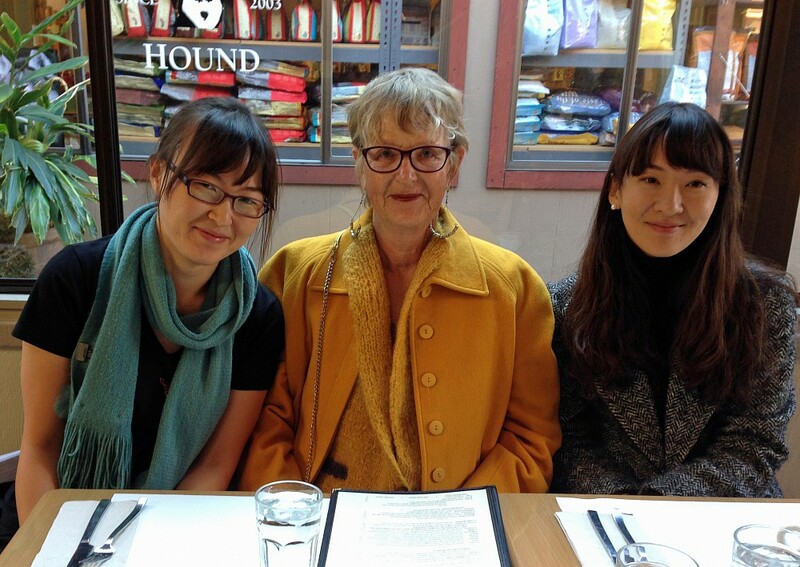 Architect Jennis Lee (Jasmax of Auckland NZ) and her sister Alex Lee (soon to finish her PhD in Architecture and currently a resident scholar of UC Berkeley) shared their thoughts with Wendy Bertrand over lunch recently. Perkins Eastman announced the addition of eight new staff members to its San Francisco office, “an already busy design team that is making its presence known both in the U.S. and internationally, particularly in the areas of healthcare and senior living design”. Leslie Moldow FAIA, OWA member, Managing Principal of the San Francisco office and one of the firm’s Senior Living practice area leaders, noted that “developers are scrambling to keep up with the demand for senior housing models that are both versatile and affordable.” New hires include Associate Tammy Lin AIA, Anirudh Dhawan, Michael Dungca AIA, McCall Wood, Britney Gamble, Claudia Senderowicz and Madeleine Zayas-Mart Assoc. AIA, in addition to new Marketing Manager Barbara Speer. It’s time to renew your annual membership and plan to join in our 2014 events. Membership runs from February 1st to January 31st each year. 2013 was a busy year celebrating our group’s 40th Anniversary, and we are still in the planning process for events later this year, so keep an eye on the website calendar for upcoming events. At our Annual Business Meeting in October, members approved a small dues increase that is now in effect. We made the decision in order to absorb the cost of events into the annual dues and avoid charging a small fee at each event. The increase will cover food, occasional costs for speakers and/or venues, and insurance to cover our events, as required by some of the venues. For any questions regarding membership, feel free to contact Charlayne Sakamoto, our Membership Coordinator, via e-mail at membership@owa-usa.org. The Board of Directors of the Oakland Heritage Alliance (OHA) seeks a part-time Administrative Director (the only paid position in the organization) to provide office support and assist with growing the organization, including helping to increase membership and expand outreach. Oakland Heritage Alliance, 446 17th Street, Suite 301, Oakland, CA 94612 OR email to: info@oaklandheritage.org with AD Application - Your Full Name in the subject line. Visit the OWA Job Opportunities Page to look for or add other positions available.